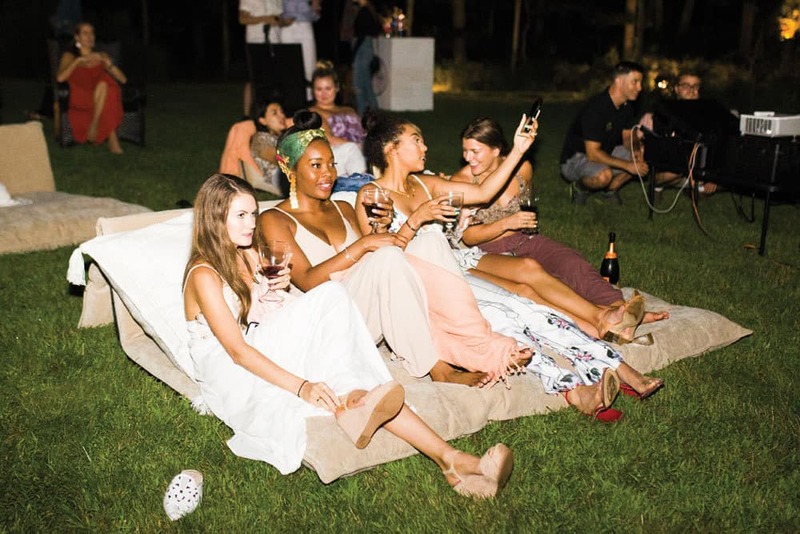 In August, American Express Platinum and The Knot descended on the Hamptons to celebrate “Platinum Gets Engaged with The Knot,” a weekend of wellness, relaxation, and celebration for brides- and grooms-to-be. 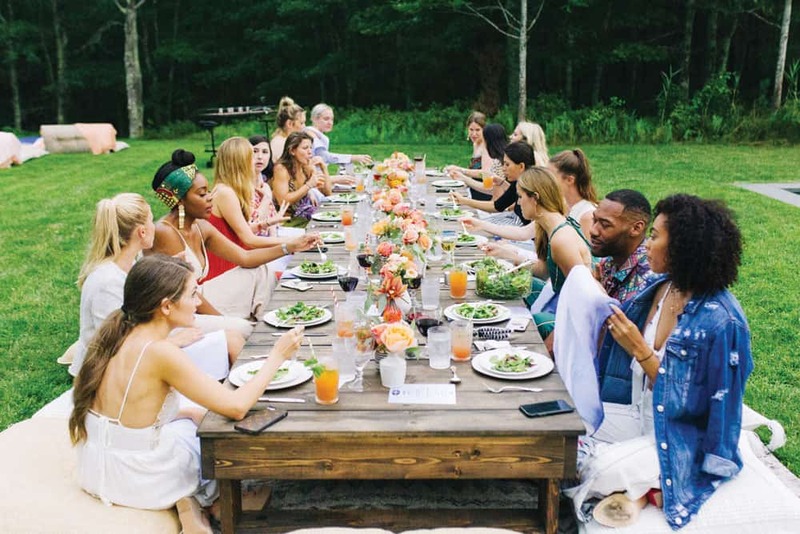 With programming that showcases how American Express Platinum backs its Card Members during all stages of their lives—especially milestone moments, such as getting married—a group of influencers experienced the type of Hamptons moment that only American Express Platinum can offer. Tell us a little bit about your role at American Express and what your work entails. As director of brand partnerships and experiences at American Express, I am responsible for managing our global brand partnerships and overseeing the curation of unique and exciting experiences for our Card Members. I have led activations at key cultural moments, such as Coachella, Art Basel, and the Food & Wine Classic in Aspen. How long have you been with the company, and what makes it such a special place to work? I have been with American Express for four years now, and my experience has been nothing short of incredible. The entire team at American Express is dedicated to challenging one another to create a better brand, offer better services, and curate better experiences for American Express Card Members. Working with our brand partners to offer Card Members exclusive access to curated moments in a market that is constantly growing and changing means I get to work on something different every day, and I am endlessly inspired by the creative partners that we work with at American Express. Why did you choose the Hamptons as the perfect place to highlight Platinum’s prowess in the wedding space? The Hamptons hold a special place in our hearts at American Express Platinum, with many of our Card Members, Collective Members and Platinum partners heading out east for the summer months. EMP Summer House in partnership with American Express, in particular, has returned for its second season this year — exclusively for Card Members — and is an excellent location for special events, delicious food, and great company. Our Card Members are at the center of everything we do, and we go where they go. What are some of the key Platinum benefits that Card Members are using as they plan their weddings? The Platinum Card is perfect for brides and grooms planning to book a lot of travel for their wedding, honeymoon, bachelor/bachelorette party, or all three! Platinum Card Members earn 5x Membership Rewards points on airfare and hotels, complimentary access to Centurion Lounges, Delta Sky Club, and Priority Pass Select lounges to relax in before your flight, as well as a statement credit for Global Entry or TSA PreCheck to make the return from your destination wedding or honeymoon easy! For our Card Members working to get in shape and feel their best before the big day, membership with Platinum also provides access to a series of exclusive offers with SoulCycle. How do the Platinum card and its benefits aim to relieve stress and make the wedding-planning process so seamless? American Express Platinum has your back during all of life’s biggest moments, especially during your engagement. Platinum Card benefits help couples make the most out of their wedding purchases, with rewards and exclusive access to top hotels and restaurants across the globe. How did the partnership with Elettra Wiedemann come together? We try to tap the Collective as often as possible, and as a member of the Platinum Collective, Elettra Wiedemann was an obvious choice for this event. 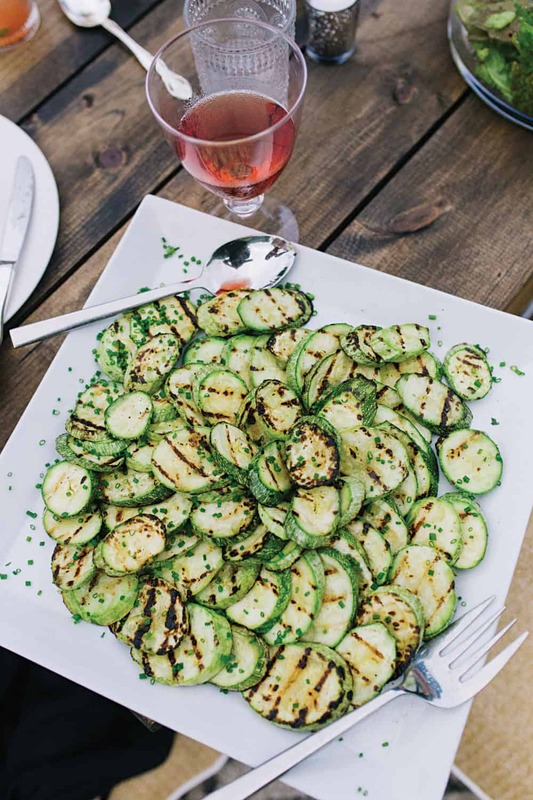 With a focus on healthy, delicious recipes that cater to those who are on-the-go and often too busy to plan meals ahead of time, an Impatient Foodie dinner made the perfect meal for our busy wedding planners. We also worked with a few other members of our Collective to help bring the weekend to life. At Saturday’s “I Do Barbeque,” we served our delicious and refreshing “Platinum Heat” signature cocktail, which was created in collaboration with our Collective Members Bertha González Nieves of Casa Dragones, Tobin Ludwig of Hella Cocktail Co., and Viraj Puri of Gotham Greens. Our special guests also received a curated gift bag full of pre-wedding essentials from our Platinum Collective Members at Outdoor Voices, Impatient Foodie, Away, and Casa Dragones. Why did The Knot make such sense as a member of the Platinum Collective? We created our Platinum Collective a couple of years ago to bring together outside thinkers, creators, and innovators, like Kristen Maxwell Cooper, to help us ideate and curate incredible experiences for our Card Members and, in return, to offer them our support in reaching their business goals and objectives. The Knot specializes in bringing the fun and excitement back into wedding planning, ensuring that their readers have everything they need to enjoy the journey. At its core, American Express Platinum exists to help Card Members achieve their goals, and The Knot’s commitment to helping brides achieve their perfect wedding day aligns perfectly with our values. Any favorite moments from the weekend? Our “I Do Barbeque” on Saturday afternoon. Our guests made the most of the rainy weather and had the best time dancing to Platinum Squad Member and DJ Hannah Bronfman’s set, playing games by the pool, and celebrating with one another in a beautiful setting. There are a lot of exciting moments and Card Member experiences on the horizon at American Express Platinum. Alongside our Platinum Card Creative Director Pharrell Williams, we just announced an expanded partnership and joint commitment to raise awareness and support for arts education and advocacy nationwide. As part of the collaboration, American Express Platinum and Pharrell will host the Yellow Ball, which will take place on Monday, September 10, at the Brooklyn Museum and benefit the Young Audiences Arts for Learning. Tickets are available for purchase at amex.co/yellow. We hope to see you there! How long have you been with The Knot? I’ve been with The Knot for three and a half years now and served as editor-in-chief for the past year. As editor-in-chief, I’m focused on not only defining strategy and overseeing content creation across print, digital, social, and video, but also working closely with our marketing and product teams to ensure our expertise and advice comes through in our app. What do brides tend to cite as the most stressful aspects of planning a wedding? Paying for a wedding, without a doubt. My advice before you start planning is to outline your priorities: If amazing food is a must-have, but you could live without elaborate flower installations, then put your money toward the catering. And don’t sweat the small stuff like linens and favors. How does wellness factor into the way that brides and grooms are planning and executing weddings? Today’s couples are looking at this time in their life as a moment to make healthy changes together that will set them up for success for the rest of their lives. That could be everything from adopting a new exercise routine to meditation. I also always recommend that couples create time during their week where wedding talk or planning is banned. Take that time to reconnect with your partner and remember why you’re even planning this celebration! Why does a partnership with American Express Platinum make so much sense for The Knot? Couples getting married today are definitely savvier when it comes to their finances and are looking for credit cards that offer them benefits and services that make sense for their lifestyle. I love that American Express Platinum’s initiative has always been to offer card members meaningful and one-of-a-kind experiences — it’s just what millennial couples want. And as a Platinum Collective Member, I actually get to help curate these unique experiences. Planning your wedding can be easy and stress-free when you have brands like Amex and The Knot behind you. How do couples benefit from the Platinum card? Couples, in particular, definitely benefit from the travel and hotel rewards. Platinum Card Members earn 5x Membership Rewards points on airfare and hotels, so booking for a destination wedding or honeymoon just got a lot more satisfying. American Express Platinum also just opened up a Shop Saks with Platinum benefit, offering up to $100 in statement credits annually, so shopping for accessories or other wedding-related outfits at Saks is a no-brainer. What were some of your favorite moments from the weekend? Gathering everyone on the lawn to watch Father of the Bride on Friday evening. It was the perfect kickoff to the weekend, and seeing our guests relax and enjoy each other’s company following one of the most delicious dinners by Elettra Wiedemann, founder of Impatient Foodie and a fellow Platinum Collective Member, was truly heartwarming. 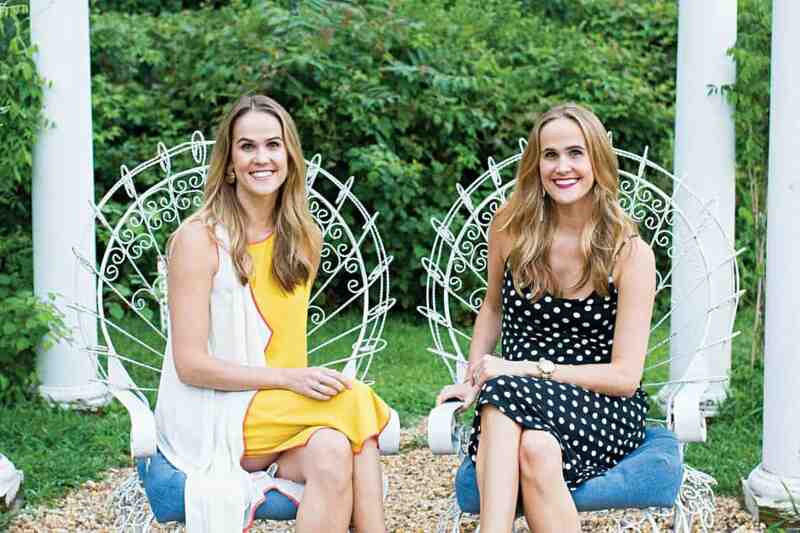 Why are the Hamptons such an epicenter of wedding-related activities? From romantic beaches to rustic barn aesthetics to luxurious estates, the Hamptons have something for everyone when it comes to creating the perfect wedding weekend, shower, or bachelor/bachelorette parties. There is no limit to the number of options for bachelor and bachelorette activities during the summer months, be it a day at the beach or a group dinner at EMP Summer House in partnership with American Express. For native New Yorkers, the Hamptons offer a welcome escape from the city to relax, let loose, and fully enjoy the pre-wedding experience. What are your best tips for reducing wedding stress? Download The Knot app to help you organize everything from your guest list to your registry. From your engagement to your big day, The Knot offers tons of tips and tricks to cut costs, manage your time, and keep your checklist in order. After that, my advice would be to take a deep breath and enjoy the journey. Your engagement is such a magical time, and you shouldn’t allow the minutiae of planning a wedding to dull the excitement of getting married.